Central TREC Group needs YOU! – Fancy being a helper…? 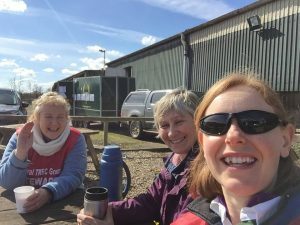 Central TREC Group aims to run competitions across the seasons but these events can only run if a small army of volunteers give up their time to support our events. These wonderful people complete a wide range of tasks, from setting up the course, to judging check points or obstacles through to helping with the clear up. These are just a sample of the hundred and one tasks that the organiser and TD need doing in order for the event to run smoothly. Full briefings will be provided on the day so no prior experience is necessary and you don’t even need to have any horse experience to be a valuable member of the team behind the scenes. So what can you get out of helping? It is a great opportunity for those new to the sport (and even regular competitors) to find out a little bit more about how the competitions run. If you are lucky you will get paired up with an experienced judge who can answer lots of questions and discuss how the judging works. 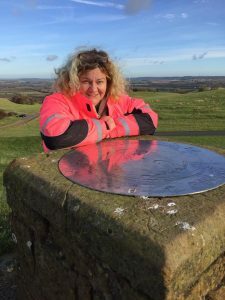 You also get the opportunity to see how a wide range of riders approach different challenges and pick up hints and tips for how you might be able to improve the kit you carry on the POR (orienteering) or different ways of tackling a particular obstacle on the PTV (cross country). And for non-riders, you get a day out with other lovely people, lots of thanks from the competitors you look after and hopefully the chance to top up your tan! So what tasks might you get asked to do…? Secretary – an often forgotten job, but this is the first person that competitors meet when they arrive. They provide directions and instructions to competitors, details about corralling, parking, eating, tack check, course walk, etc. They will often also be responsible for checking hats and body protectors, chasing missed payments and checking membership numbers. Map Room – these lovely people have the task of getting everyone started on time, given the correct map, providing any information on what tickets look like and any other key information such as starting speeds. Getting all competitors in and out of the map room on time with all the right pieces of paper and information can be a bit of a challenge, especially when multiple levels are going through the map room at one time and competitors’ nerves are high. Tack Check – usually one or two people are set this task, they are there to make sure riders are carrying all the compulsory items of equipment. This involves the riders who have spent ages carefully packing their panniers pulling everything out and dropping items on the floor, in order to show the judge a functioning flash light. They then stash everything back, in a slightly less orderly fashion, and proceed to the start of the POR. POR Starter – with our new starting system at Central, riders leave the map room without their map to go and tack up. This means that the starter needs to not only make sure the riders depart bang on their starting time, but that they have also been reunited with the appropriate map and map case, route record card and any other bits of paper that may be required whilst out on the POR course. Keeping everyone to time is the key thing here. Check Point Judge – if the event has enough helpers then each check point normally has at least 2 judges, sometimes more if it is expected to be busy. When the judges arrive at the check point they will be shown where to put entrance and exit flags and which routes riders are expected to approach the check point. They may not know which route is right and which is wrong, they will just note down which way the riders came in to or left the check point. They also note the riders’ arrival time and departure time, provide any grids or bearings instructions if relevant and set the riders off at the desired interval. When riders arrive close together it can get quite busy! Manned Ticket – this person is located somewhere on the POR route and marks whether a rider made it to a particular location and the route taken to approach the location. They will generally have features that they are looking at to distinguish which way the rider went. POR Finish – this is the person that everyone is relieved to see at the end of the day. They note the rider’s final finishing time, the route that they approached on and collect up route record cards before providing instructions for returning to the venue. PTV judges – where possible we use trained PTV judges who are familiar with the intricacies of the scoring system, but this is not always possible. Therefore some judges may be judging an obstacle for the first time, hopefully they will be paired with an experienced judge too. They will be briefed by the TD or organiser and sent out with a chair, brolly and sunscreen, if possible they will also be allowed to take a car on course. They then judge the obstacle to the best of their ability, using the mark scheme to help make decisions. Consistency is key. Where the competitor does something unusual the judge will comment or describe the action to justify their mark – often in consultation with a neighbouring judge. But remember competitors, the judge’s decision is final! MA (Control of Paces) Judges – the judge’s role here is to time the attempt made by the competitor, normally aided by Central’s clever timing kit, whilst also checking for breaks in pace or departures from the corridor. Scorer – hidden away in a quiet room is the scorer. They have the challenge of entering hundreds of pieces of data into the scoring programme in just the right order in order to be able to provide scores as quickly as possible after the end of the event. Their efforts are vital to the successful conclusion of the competition and the scores they produce are eagerly awaited by all the riders! There are also lots of little jobs like course building and dismantling, erecting the map room / secretary’s tent, clearing away, taking map cases to the starter, topping up loo roll, etc. that all have to get done. Then of course there are the TD and organiser’s roles, but those are an article in themselves! There are a huge range of jobs that need doing, some are more exciting than others, but they are all valuable in their own right and need doing for the competition to happen. Helping out at an event can be immensely rewarding and enjoyable – but riders need to bear in mind that sometimes helpers can have been at their posts for many hours and sometimes while getting rained on so a pleasant smile and friendly conversation are always welcome. So if you want to learn more about the sport or can’t ride due to a lame horse, why not come along and see a competition from the other side? We always welcome helpers, whatever their level of experience, and ensure that they are well fed throughout the day. Our non-riding helpers receive Central TREC Group vouchers or sometimes a bottle of wine as a mark of our appreciation. Come and see us at a competition soon! If you are interested in helping at any events run by Central TREC Group then please get in contact with us via email: central@trecgroup.co.uk. If you’d like to help at a specific event then a contact email address for the organiser can usually be found on the schedule for the event.